Hello hello, it has been a while! 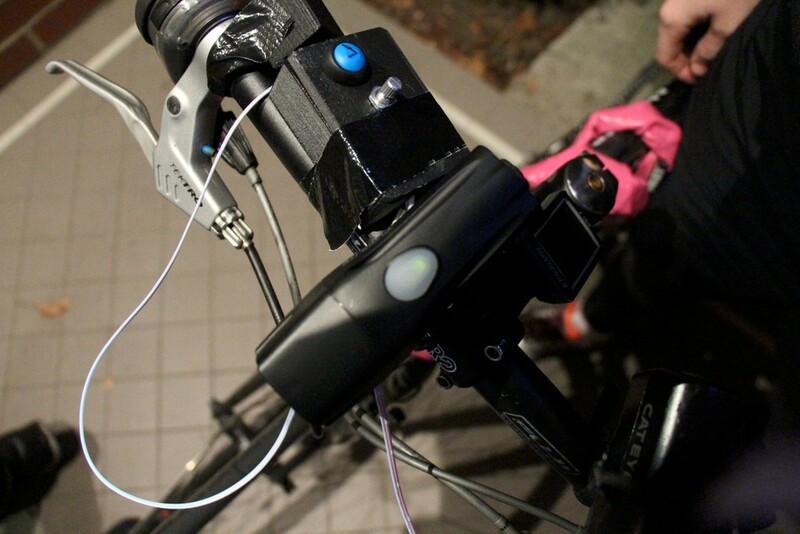 We've been busy turning what started off as a pedestrian light safety harness (see the original blog entry here) into a wireless bike indicator for cyclists! The basic design is still the same - a wearable LED harness that has some smarts built into it, however the focus is now on cyclist visibility and road safety. The future plan is to extend this to pedestrians as well and incorporate the original motion detection sensor, but that's a story for another day. Right now let me explain how "BlinkeR" our wireless bike indicator works. Basically, there are two parts - the harness itself which houses over 100 programmable multi-coloured LED lights, and the wireless indicator buttons that attach to your handlebars. Both have a controller box. On the harness, the LEDs glow bright white in front, red on the back, and amber on the left or right side - depending on which way you are indicating. Here are some photos of the initial prototype v0.1 which is now going into the customer testing phase. The next steps for v0.2 are to shrink the controller boxes to minimum possible size, add waterproof connectors and a waterproof case to each controller box, and get the first 10 units manufactured and distributed to our customers for testing. By the way, if you are interested in being part of our test group complete our engagement survey here, or preorder BlinkeR using the form here. Here is the handlebar part of BlinkeR: the two indicator button (green), the controller box with light mode selector and a dimmer, and the battery. Here is the handlebar unit mounted (very temporarily!) for testing purposes. The final version will have velcro on the indicator buttons so that they can be attached anywhere along the handlebars - even under the thumb. Main controller box mounted on the handlebars.